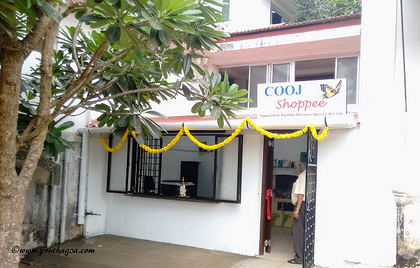 COOJ Shoppee was inaugurated on the World Schizophrenia Day (24th May 2017) at Bastora, Mapusa. 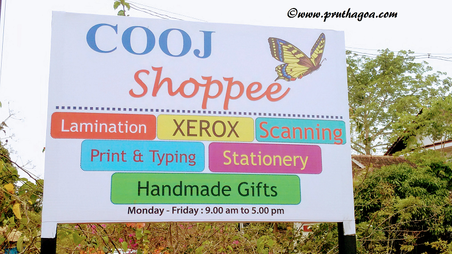 COOJ (Cause of Our Joy) Mental Health Foundation has achieved a great milestone in opening the COOJ Shoppee, where all products made by its clients are sold. The celebration was marked by exuberant dancing, singing and skits by the clients of COOJ and Chaitanya Institute for Mental Health, Bardez. 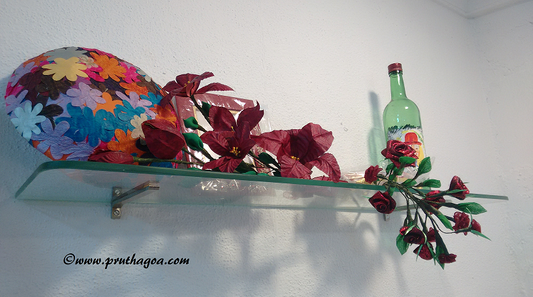 Mental illness is still a taboo topic to a large extent in India. Education has helped, but the majority of the population continues to subscribe to superstition and ghoulish beliefs connected with mental problems. The chances of stigma increase when it is an illness like schizophrenia where the patient often displays psychotic behaviour. Patients struggle to fight the humiliation that originates from society’s ignorance and apathy. Sometimes hiding away and suffering in silence seems a better option. Medication is available for this much treatable disorder but, unsurprisingly, patients are inclined towards discontinuing treatment when they do not receive encouragement and are unable to perceive a goal that will make their lives meaningful. We can be sure that such a situation does exist in Goa and many sufferers of this mental malady are unwilling to seek help themselves or have caregivers who are reluctant to expose them to the world. Fortunately we have COOJ, an NGO that is involved in rehabilitating persons with mental illnesses besides providing a host of other services such as its suicide prevention helpline (call 0832-2252525 from Monday to Friday, 3pm to 7pm), the Eldercare Programme, Carers’ Hope, a support group for caregivers of mentally ill persons, Friends’ Club, a support club for mentally ill individuals, and various awareness programmes. Sahodaya, the non-residential psychosocial rehabilitation programme, devises therapy sessions for individual clients, thus targeting the needs of that particular client. This offers the clients a chance to develop a lifestyle that holds more value and brings them a better understanding of themselves. It has allowed clients to return to school or work, becoming better integrated with mainstream life and acquiring the self-esteem that is so crucial to good mental health. The clients, who have regained stability in their lives but nonetheless cannot return to the regular work arena, have the Sheltered Workshop to fall back on. 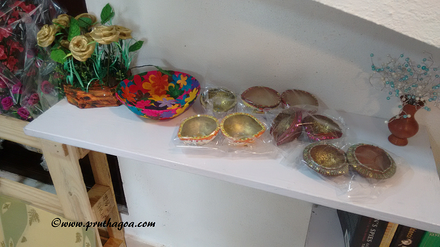 They are involved in producing beautifully decorated bags, cards, books, files, CD cases and envelopes, which are marketed, thus enabling the clients employed there to earn a modest living for themselves. 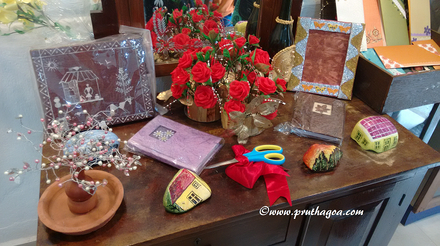 Aside from the products mentioned above, COOJ Shoppee sells photo frames, delicately embellished diaries, address books, notebooks, artificial flowers, delightful paintings (by Dylan Arthur) and various ornamental items, which are all handmade. Services such as data entry, typing, photocopying, scanning, lamination and printing are also offered and outsourcing is invited to contribute to helping these clients. Dr Peter Castelino, Managing Trustee of COOJ spoke on the occasion, ‘This is something that has been a burning desire in my heart for many years. Right from the time when I was at IPHB (Institute of Psychiatry and Human Behaviour) and I saw patients there, some suffering for years. They kept saying that they can’t do it. When I looked at the system I realised that they really can’t do it because the opportunity ‘to do’ was not provided. With that in mind actually, COOJ was born.’ Through the years, as the institution provided occupational and vocational therapy, it was realised that some of the clients were being limited by making only certain items and were tied down with monotonous jobs that did not harness their true potential. The idea for COOJ Shoppee developed out of this reasoning. Some clients are excellent at typing, communicating, and other abilities that could give them the option to work in a regular job. But this needs empathetic employers who are willing to make adjustments. This is not a viable option for most employers and therefore people with mental illnesses have the lowest employment rate. COOJ has had triumphs and failures while trying to assimilate clients into conventional occupations as it is a challenging task to deal with the vacillating nature of mental illness. Dr Castelino called on support from the community and the families of the clients to make COOJ Shoppee a success by utilising services and spreading the word to widen the network of prospective service users.